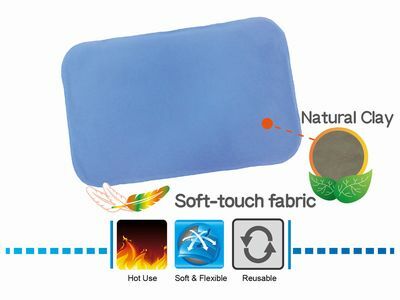 REXICARE CLAY HOT PACK (L) - TAIWAN STANCH CO., LTD.
►Super soft-touch fabric is more flexible and pliable. Place the pack in a microwave oven (recommended 1000W). Ensure that the clay is evenly distributed in the pack. Heat the pack for 30 seconds at a low power setting. Heating times will vary with the power of the microwave. If more heat is required, heat in additional 5-second increments until the desired temperature is reached. Allow the pack to rest at least 1 minute before application.